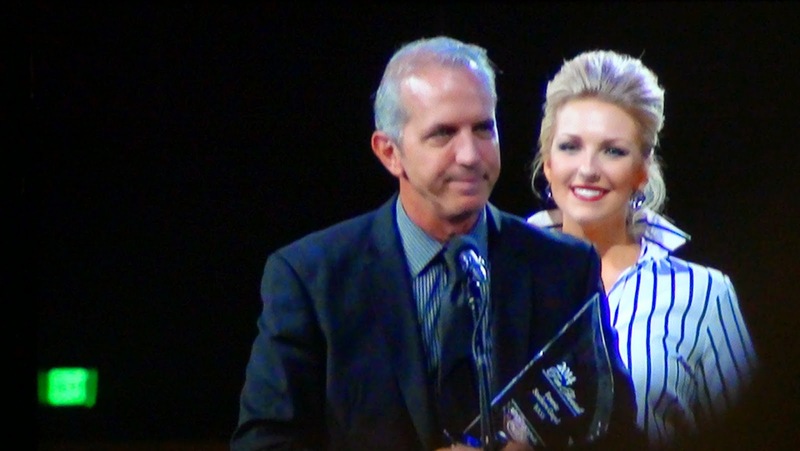 There's just no way to put into words the entire week of NQC. It's impossible. So much is going on, and so much happens throughout the week that you really can not keep a log of it all! 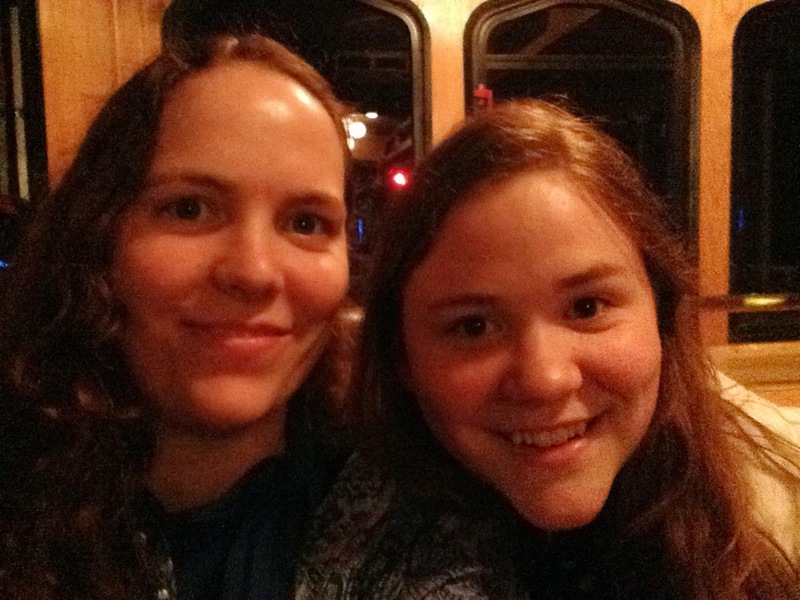 So, I decided to just do a few posts and share personal highlights from the week. 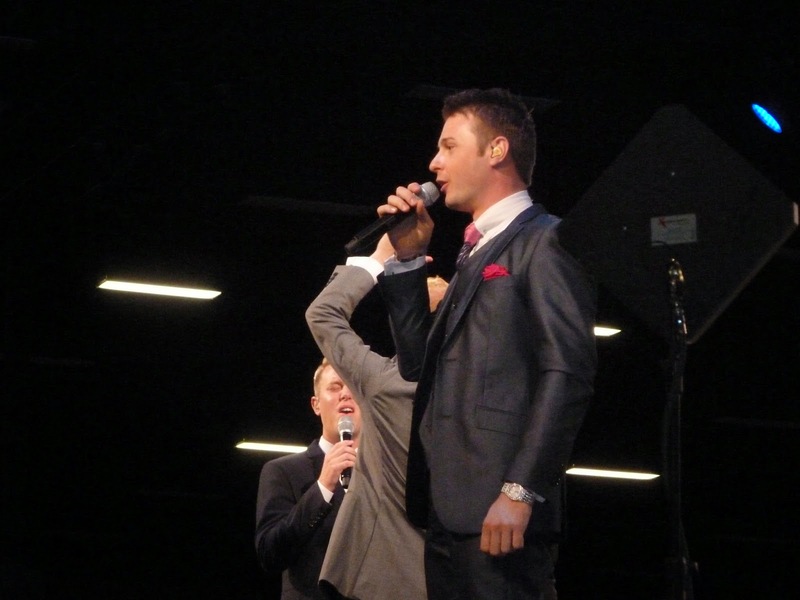 To start off, this was the first year we attended a chapel service at NQC. In fact, we attended two! Chapel service is held at the Music Road Inn and Convention Center, and it's pretty early in the morning when you consider what time you actually went to bed the night before! We were able to make it on Tuesday morning and Thursday morning, with Greater Vision and the Hoppers, respectively. These are smaller and more informal concert settings, so it's a little special. And when you make the effort to get up early, catch a trolley and get to the convention center, you make sure you're in the spirit to receive a blessing from the service! 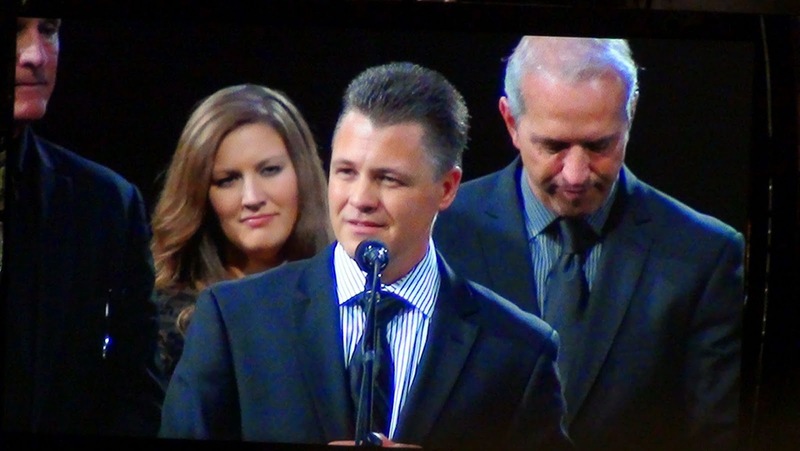 One of the other highlights early in the week for me was on Wednesday evening, getting to see the Perry's. 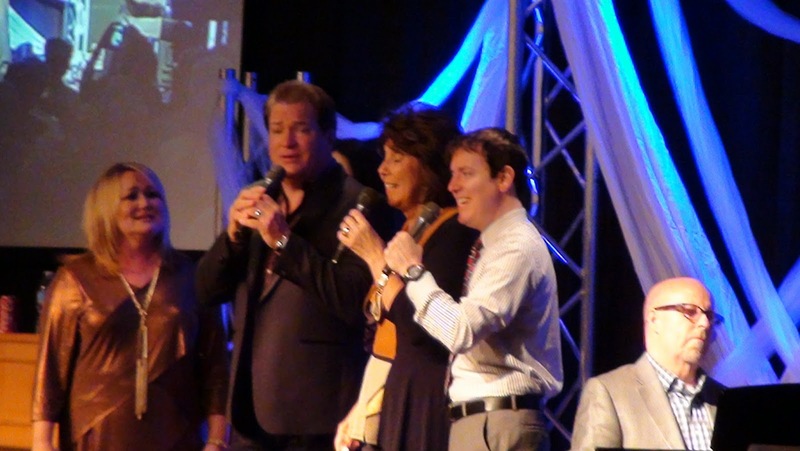 Now, I've seen this group many times in the past, but in January of 2013, Tracy Stuffle (bass singer and husband of alto Libbi Stuffle) suffered a stroke. 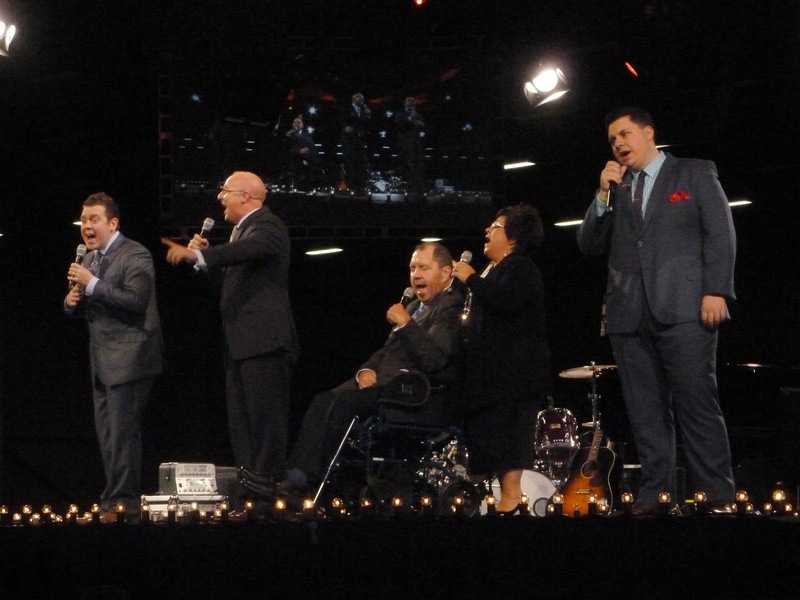 Recovery has been long and hard, so it was incredible to see this group-including Tracy-up on main stage at NQC! And the best part was seeing and hearing Tracy sing! 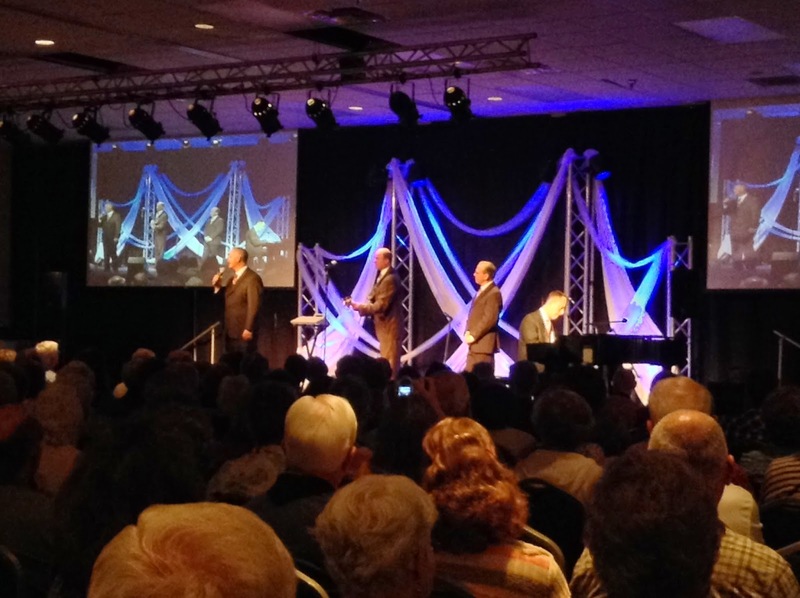 Tribute Quartet, one of our favorites! Thursday held another first for us; the Singing News Fan Awards. For the past few years these have been held at Dollywood, and prior to that, were always towards the weekend of NQC, and we always left midweek. Needless to say, we were excited about this! 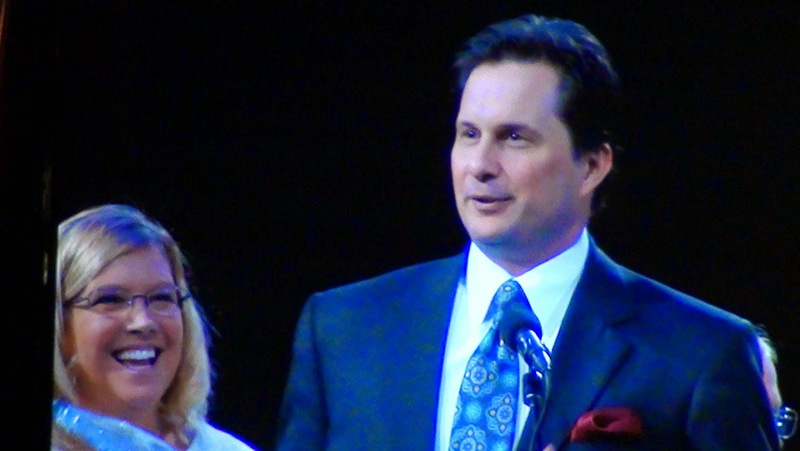 This year the presenters were all siblings-brother/sister, brothers and sisters. For example, Chris and Suzanne Taylor, Michael and Ronnie Booth, Madison and Morgan Easter...you get the idea. The award ceremony started out with a surprise-a choir of 12, getting everyone excited and ready to go! 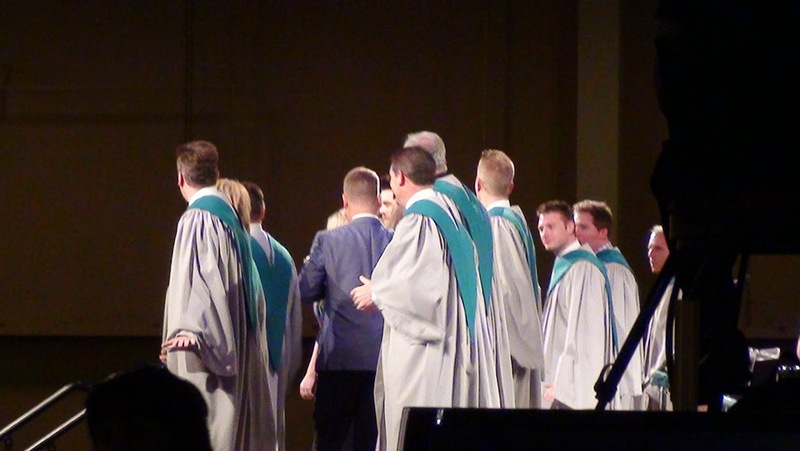 Yes, M caught Riley Clark (Tribute) and David Sutton and Clayton Inman (Triumphant) for pictures beforehand. It's not everyday you see these guys in robes! 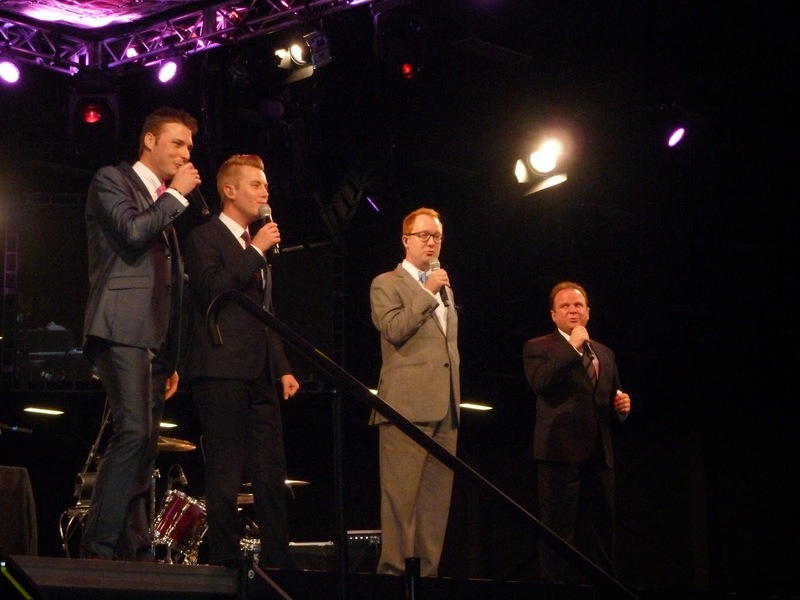 All the 2014 fan award winners were well-deserving, but I have to give a special shout-out to our favorites-our good friends of Triumphant Quartet! 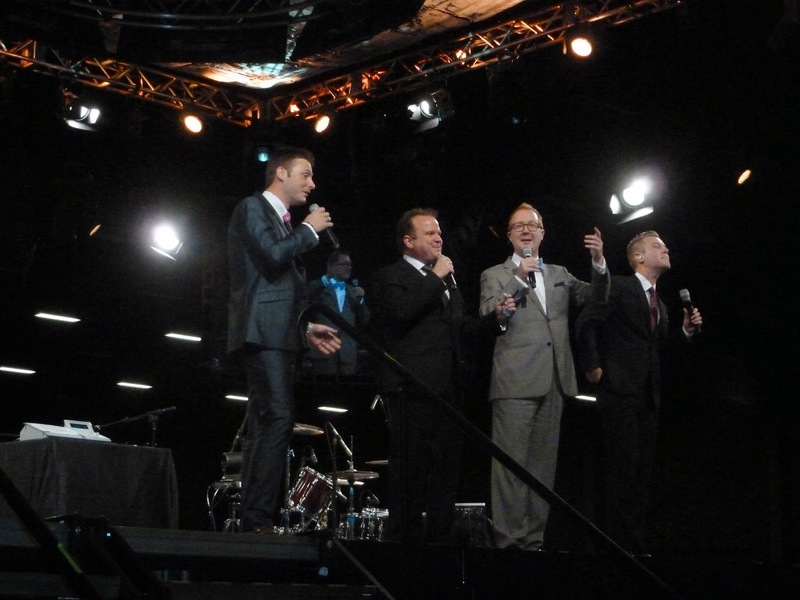 They received the Favorite Traditional Quartet Award, as well as Favorite Bass Singer (Eric Bennett)! This is something like the 6th year running they've received these awards, and I am thrilled that others recognize the talent of Triumphant Quartet! I'll share a list of all the winners below the pictures.